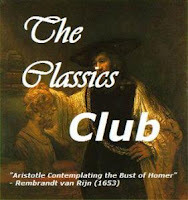 A Literary Odyssey: Rebecca Readalong Post 1: Chapters 1-15. "Last night I dreamt I went to Manderley again," (1). 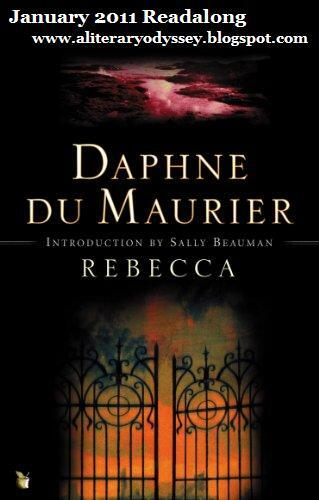 Welcome to post 1 (of 2) for the readalong of Daphne Du Maurier's Rebecca. I was extremely excited to begin reading this novel, as I have heard so many wonderful things about this haunting tale. "We can never go back again, that much is certain. The past is still too close to us. The things we have tried to forget and put behind us would stir again, and that sense of fear, of furtive unrest, struggling at length to blind unreasoning panic-now mercifully stilled, thank God-might in some manner unforeseen become a living companion, as it had been before," (5). After this kind of a beginning, I was left with many questions. Du Maurier certainly set the tone for a novel that is ripe with mystery and deception. It is after this beginning tone that we travel back with the narrator to where the story truly begins in Monte Carlo. Young and orphaned, our narrator is a companion to an old woman, Mrs. Van Hopper, much against her will. Van Hopper is more than a little rude, crass, and obnoxious. Had I been in our young narrator's place, I would have told that old lady to shut it more than once. But it is in her company that our narrator is introduced to Maxim de Winter. He has escaped for some time away down in Monte Carlo, and after Van Hopper comes down ill, our young narrator is left with nothing to do. Dear old Max begins to take her for drives and sightseeing. "I am glad it cannot happen twice, the fever of first love. For it is a fever, and a burden, too, whatever the poets may say," (34). I know that I can remember those feelings, with everything in life is beautiful and wonderful, and nothing can seem to go wrong. It is after she learns that she has fallen in love with Maxim that she is forced to make a decision about her future. Dear old Van Hopper wants to travel back to New York, taking our narrator with her. And as any young girl would do, she runs to Maxim to tell her. He proposes (rather unromantically) and they marry. She is to be the mistress of Manderley. This is the point where I actually became interested. The beginning of the novel, and the time spent in Monte Carlo, seemed to move at a snail's pace. The mystery and intrigue that Du Maurier so carefully constructs in the first few chapters seems to disappear. It is only after our narrator and Maxim return to Manderley that the mystery begins to build again, to the point that I had a hard time setting the novel down once I hit 190 pages and the end of chapter 15. At Manderley, we get to see our young narrator flounder to fulfill a role that was recently filled by a very different woman. She begins to learn about Rebecca, Maxim's first wife, and all that she did for her home and community. Everywhere our narrator turns, there are remembrances of Rebecca. The morning-room, which our narrator now uses, is filled with items Rebecca loved and her writing. "Unconsciously I shivered, as though someone had opened the door behind me, and let a draught into the room. I was sitting in Rebecca's chair, I was leaning against Rebecca's cushion, and the dog had come to me and laid his head upon my knee because that had been his custom, and he remembered, in the past, she had given sugar to him there," (77). The mystery begins to build as any mention of Rebecca sends Maxim flipping out. The old housekeeper, Mrs. Danvers, seems to despise our narrator because she is not Rebecca. Mrs. Danvers seems obsessed with preserving Rebecca's memory, as she maintains Rebecca's old room and clothing. Everything is preserved as if Rebecca had just stepped out for a minute. To top things all off, there is a mysterious cottage by the sea that an old "idiot" seems to occupy. It had once belonged to Rebecca, and now remains untouched. This truly is a haunting novel, and I am anxious to see what will happen in the second half. Will our narrator find the information she is so longing for? Will she step out from Rebecca's shadow? What is UP with creepy Mrs. Danvers? And what happens to drive them away from Manderley? I cannot wait to discover the ending, and I hope you are just as anxious as I am. If you completed your reading and have a post up, please leave a link in the comments so I can link your post here. Feel free to keep checking back for other participants' links and comment away! I hope to see your second post in two weeks! I loved this book. 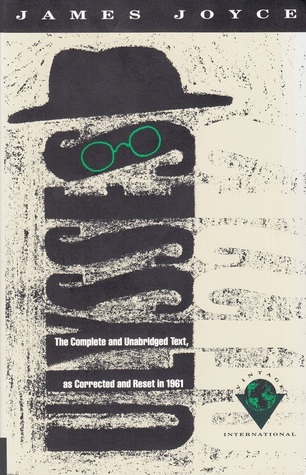 I first read it in high school and I still love it. It's so wonderful when your favorites hold up over time. And it's more than just a good story, the writing is very good too. Can't wait to read what you think of the ending. I do not have a blog, but here are my thoughts. I totally agree with your assessment up to this point. I also found it to be a little slow and wondered when the story would really begin. I think alot of this is to set up the backdrop to the story as a whole. Maxim is a bit different of a person. You can tell he is falling in love with the narrator (why doesn't she have a name? ), but it isn't really an outward love. She totally is in love with him. The fact that she doesn't discuss Rebecca and lets things just be, is what many of us do. Also the way she imagines how things happened or conversations, is also something we do. This all sets up what will probably happen in the end. But is she right in those thoughts? How many times have I done the same thing, to only be wrong? I find it eery that she just accepts how everyone talks about Rebecca and how Rebecca has done things or most of the items in the house are Rebeccas and she just leaves it all there and accepts it. How many people would actually live in someone elses home with all their things there and let people act as if she is still there. I also wonder why Maxim has let Mrs. Danvers stay on, with her devotion she has to Rebecca. I feel there is a connection with the two of them and it involves the death of Rebecca. Either they were in it together for a coverup, or he is worried that she knows something and he wants to find it out, or he did it and she may know. I can't help but feel that she is a big part of this story with the devotion and the room she keeps like Rebecca is still there. Or it is something else entirely. Can't wait to find out. I read this book just a few months ago. It was different than my usual fare, but I enjoyed it. I even watched the movie, which has some significant differences in the ending. It was so painful to read of how awkward and timid the narrator is. I wanted to yell at her to just throw all Rebecca's things out and do things her own way. But I had to remind myself that I might not have been any better as a very young woman who has not yet figured out who she is. This is one of my favorites! 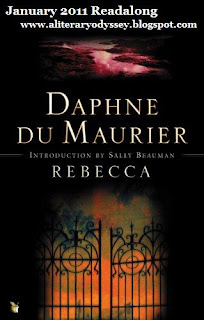 I love Du Maurier's choice to make the narrator nameless and name the book after Rebecca, who is more of a presence than an actual character in the story. Mrs. Danvers is so deliciously creepy. I agree that the book hits its stride when they go to Manderley. Everything is more sinister after that. The first half certainly leaves you with a lot of questions. I can't wait to hear your final thoughts when you finish it. Such a great book! I only read the beginning of your post, as I've not yet read Rebecca but really want to. I was hoping to join the readalong (you're doing two this month that I really want to read! ), but January was already too full of other things. Oh well! I'm glad you're enjoying Rebecca -- I can't wait to get to it! This is such a good book. I haven't read it since high school, but I just swiped it from my sister's bookshelf at Christmas to reread at some point this year. I'm glad you're enjoying it so far. Ooooh. I love that quote about first love. How true. I read this ages ago, but picked up a copy after reading your previous post. Here's my first post for the readalong. I can't wait to read the ending!! Because I enjoyed Rebecca, it made me like Jane Eyre even more, one of my favorites. Great review! Kim - I have been pondering if I should read Jane Eyre. I find it so interesting that you liked Jane Eyre even more because of having read Rebecca first. I think you have convinced me to give Jane Eyre a try! I posted my thoughts on the first half. I'm looking forward to more creepy Mrs. Danvers in the second half as well.